In the Reagan Administration, Mr. Feith worked at the White House as a Middle East specialist for the National Security Council and then served as Deputy Assistant Secretary of Defense for Negotiations Policy. All American Speakers is a speakers bureau and booking agency providing information on booking Douglas Feith for speaking engagements, personal appearances and corporate events. Contact an All American Speakers Bureau booking agent for more information on Douglas Feith speaking fees, availability, speech topics and cost to hire for your next event. Please Note: All American Speakers Bureau acts only as an entertainment broker/producer for corporate functions, private engagements and special events. 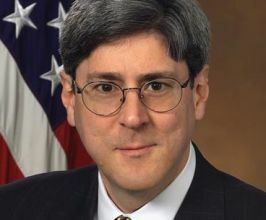 All American Speakers Bureau does not claim or represent itself as the exclusive agent or management of Douglas Feith or any artist on this website. Speaker fees are determined based on a number of factors and may change without notice. Fees often vary based on a number of factors including: speakers schedule, supply and demand, length of presentation, location of event and other factors. Fee Ranges listed on this website are intended to serve only as a guideline. In some cases, the actual price quote may be above or below the stated range.